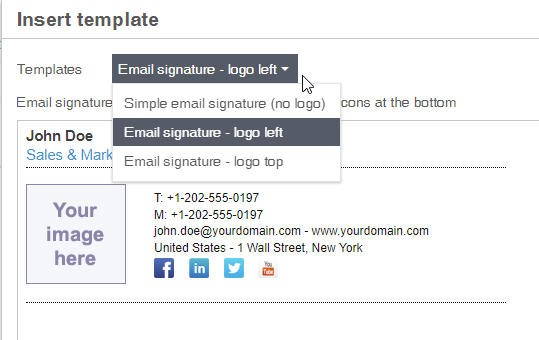 To create a HTML email signature fast you can use our built-in templates. Templates are the easy way for you to create the text you need fast. This feature is only for PRO users. 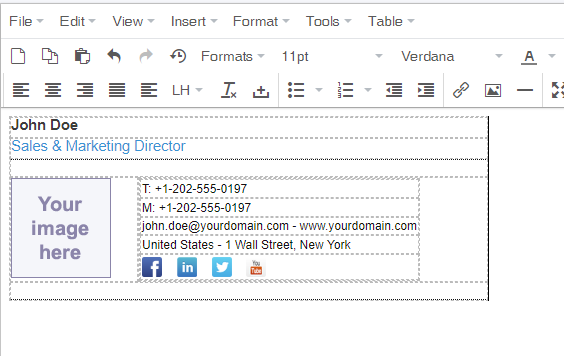 Once you have selected the template you can edit the content in the editor. If you want to add more icons to your signature (like the social media links) we recommend you use an icon stored on a CDN like Webicons. Once you have created your signature you can then copy/paste it into your email application. Important, you need to copy from the Visual Editor. Go to the edit menu, select all, then the edit menu again and select copy. For instructions on pasting into the various email platforms and applications have a look here.